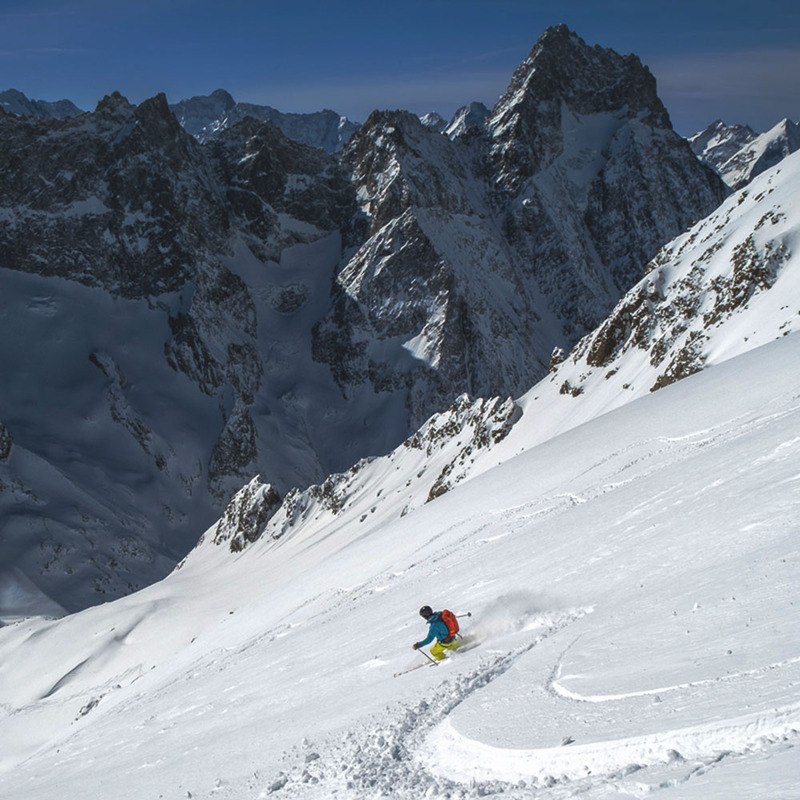 Chamonix is one of the most incredible and adventurous off-piste ski destinations anywhere in the Alps – or even the world! Imagine first lifts on the Aiguille D’Midi to 3842m, descending a narrow snow arête with the aid of crampons and putting your skis on with over 2000m of vertical descent ahead of you – never mind the incredible scenery and glaciated terrain! Well this is just one of the many off piste descents in the Alps. Whether your goal is to learn how to ski deep powder or transfer your on-piste skills to off-piste there are plenty of resorts that give lift access to this type of terrain. 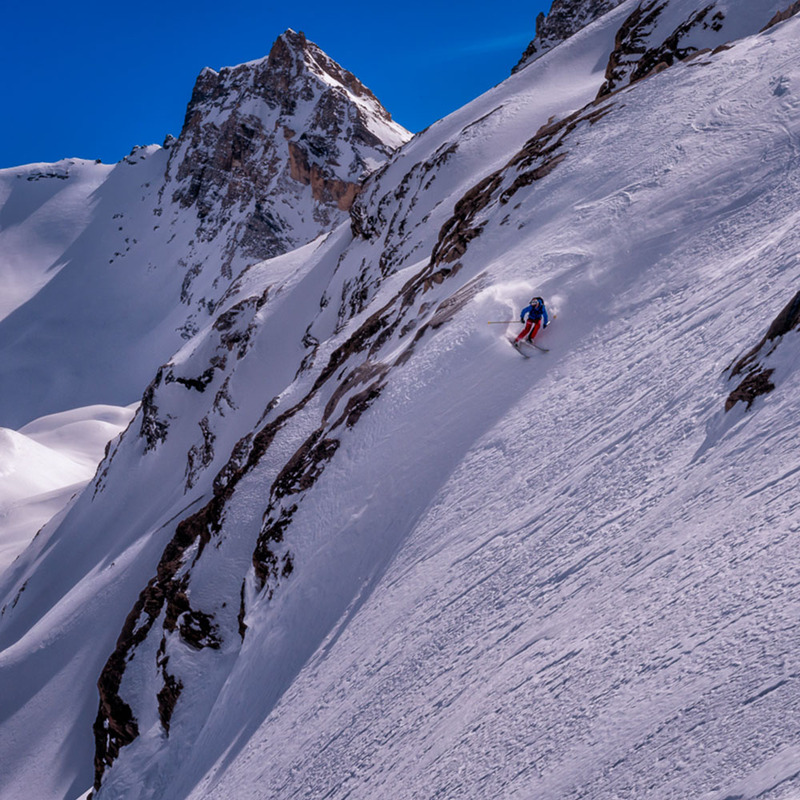 The options for off piste skiing through out the Alps is vast, with thousands of resorts scattered everywhere…just think of all that space waiting to be explored! You do require some specialist equipment so check the Skiing Kit List below. For anything you don’t have please get in touch to see if I can help you out! Skinning up the mountain in beautiful, impressive surroundings, then skiing down the empty mountain slopes on untouched snow, is an extremely rewarding experience. More and more these days skiers are looking at escaping the crowds and getting those fresh slopes all to themselves. This is the attraction with ski touring, where the effort in equals reward out! 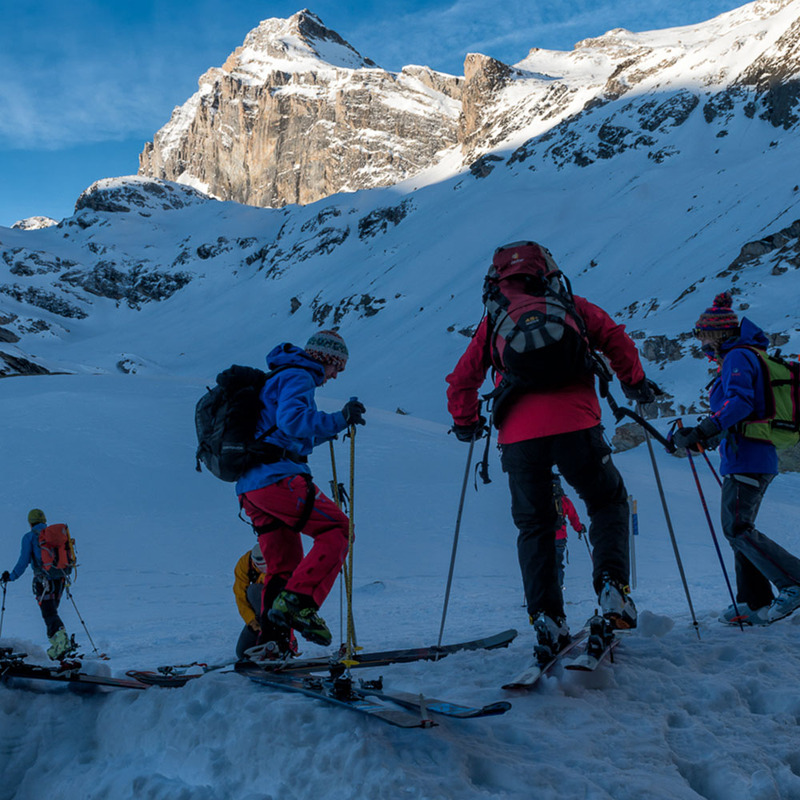 Ski Touring is a great way to explore the freedom of the mountains. 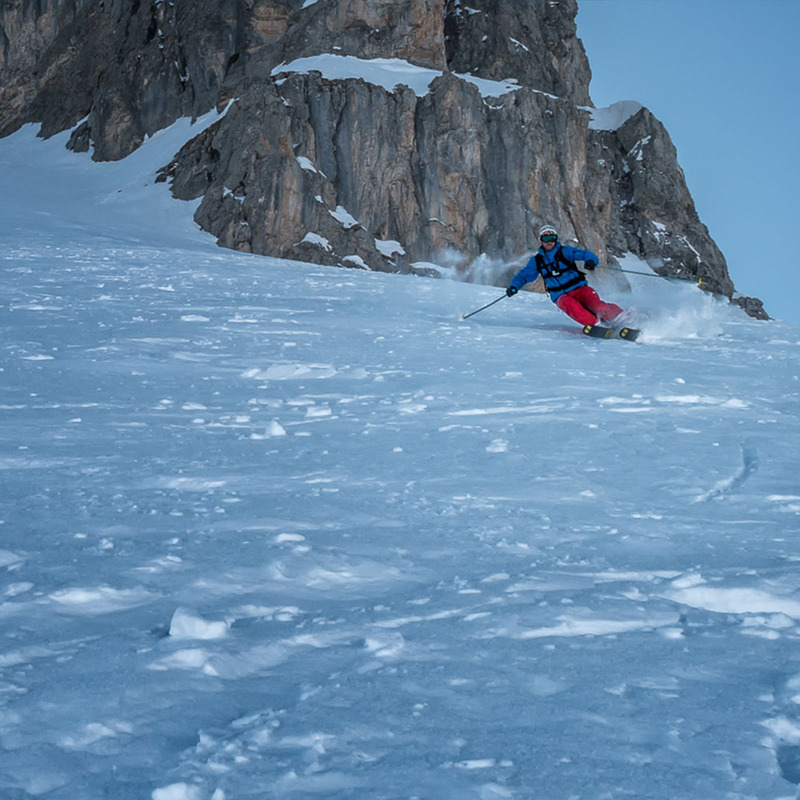 Touring is accessible to all ski abilities and offers people the chance to explore remote terrain and summits with amazing descents. Lifts can be used initially to gain some height to start your day and quite often a short skin up will be rewarded with a big, fun descent. Shovel, Probe, Avalanche Transceiver – these can be borrowed from the guide. Rucksack – 30 litre for day tours and off-piste skiing 45-50L for multi-day tours. Models that skis can be attached to are best. Trousers to wear under waterproofs, Schoeller type fabrics or powerstretch if you have the legs to get away with wearing it in public. No Cotton.